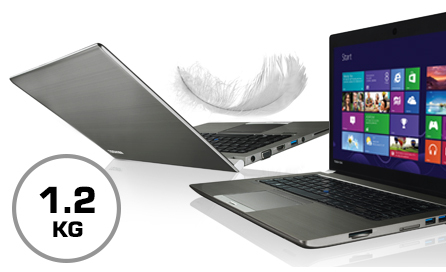 Toshiba Portege Z30-C 13.3" Business Laptop Intel Core i5-6200U 12GB RAM 128GB. Portégé Z30-C has been designed to move. Weighing 1.2 kg and being extremely durable, it is perfect for business trips. 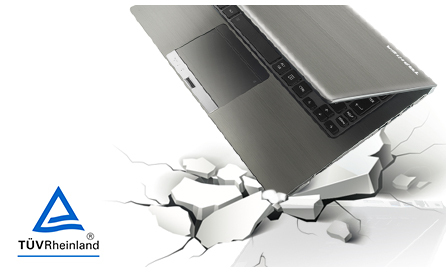 Even without an extended capacity battery, this notebook provides long life battery on a single charge. And if you are outdoors in the sun, no more flashes on the screen HD anti-reflective 13.3 "(33.8 cm) with LED backlight. In this way, it will be really easy to write e-mail or create documents in or out office, even in low light conditions thanks to the illuminated keypad. Thanks to Intel Core i5 up to, your laptop has all the features you need to perform your tasks in the office or while traveling. 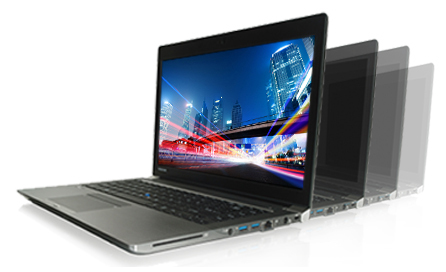 Moreover, thanks to high-performance SSDs, Portégé Z30-C offers improved speed and responsiveness Since the shutdown. No need to compromise: you can easily perform all of your business applications. Portégé Z30-C is equipped with mobile flexibility and, because all ports are standard, they will not need special adapters. You can transfer data to other devices much faster, thanks to the three USB 3.0 ports of the latest generation. 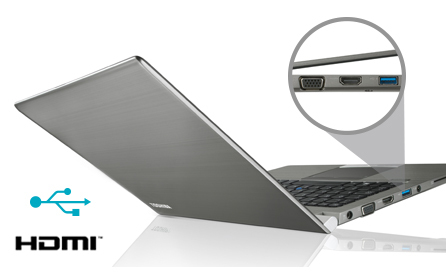 You can also share your presentations with a high-definition resolution, thanks to HDMI. The Gigabit LAN provides rapid access to the local network. This way you can really work anywhere. Connect to devices is simple and quick thanks to the optional docking station that fits perfectly with the other models of the last line of professional products for Toshiba. The resistant Portégé Z30-C is designed to withstand the pressures of professional life and meets the quality standards of Toshiba. It has in fact passed the rigorous HALT (Highly Accelerated Life Test) that allows you to simulate three years of operation. The independent institute for the execution of test German, TUV Rheinland®- also conducted on Portégé drop test up to a height of 76 cm and protection from liquid spills to a maximum amount equal to 30 ml. So, even if by chance I had to pour your drink on your computer, you'll have time to turn it off and save your data *. With its lightweight, yet durable magnesium chassis, Portégé Z30-A is solid enough to withstand a working life on the move, guaranteeing a higher return on investment. The notebook Z30-C is designed specifically for business use, and so integrates security features and advanced management and tested. SED (Self-Encrypting Drive) and the Trusted Platform Module (TPM) help to protect critical data into the local storage. And when you need to upgrade the notebook Z30-C, thanks to Intel Active Management Technology (AMT), the IT staff can do this at any time. 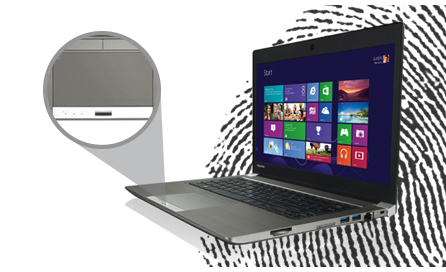 The fingerprint reader standard also makes it easy and safe access to your PC. Portégé Z30-C shares many features with the latest line of professional products for Toshiba, to ensure uniformity across the enterprise, regardless of the models chosen. This way you can easily access all your peripherals thanks to the wide range of doors and the docking station standard. The Z30-C notebook is also equipped with connectivity without dongle thanks to technology HDMI, RGB, Gigabit LAN and the three USB 3.0 ports for greater flexibility and convenience. 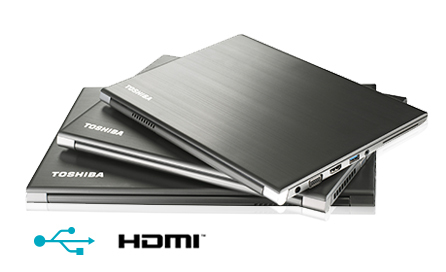 All Toshiba notebooks share the same software image, for easier customization. In addition, the fingerprint reader, the screen is not CSV, the webcam, the magnesium chassis, the pointer Accupoint and the docking station connector are standard.